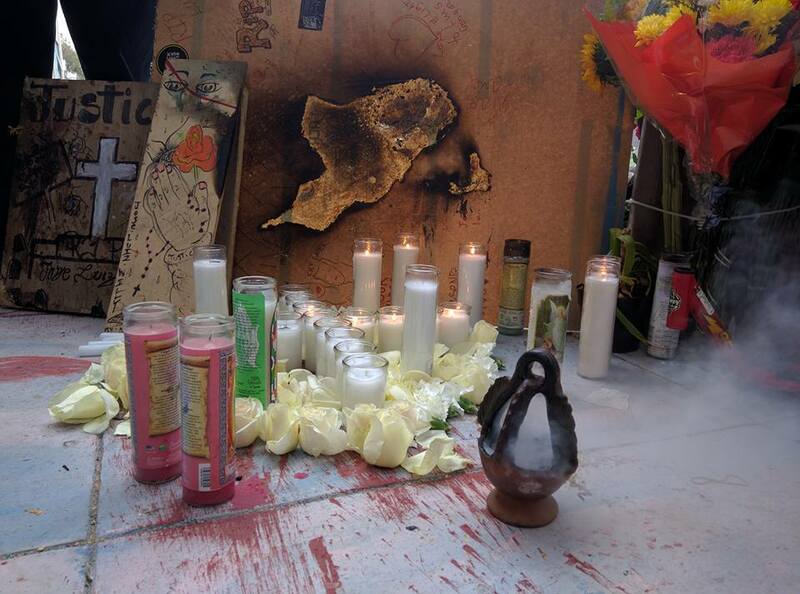 On April 7, 2016 at 10:04am, two SFPD officers killed Luis Góngora Pat, a Mayan Yucatecan man living unhoused on Shotwell Street. His killing —partially caught on film— was the fourth high profile police officer-involved shooting since 2014. His killing was the straw that broke the camel’s back. Five community members were triggered into taking an active and extreme stance to force the Mayor’s hand by calling for the removal of Chief of Police Greg Suhr. On April 22nd they plunked themselves down in front of the Mission Police Station in a hunger strike. Soon after, they became known as the #Frisco5: five native or lifelong San Franciscans, Latino and African-Americans, who went on hunger strike following the killing of Luis Góngora Pat. Their peers were incredibly proud and the hunger strike was embraced with broad admiration and support. A movement developed around the Frisco 5 that culminated seventeen days later in an action of civil disobedience by supporters to keep City Hall open until their demand to fire Chief Suhr was met. On the night of Friday May 6, 2016, eighteen (by other estimates, twenty-five and an another count 33) protesters were arrested for occupying City Hall carrying the demands of the #Frisco5 hunger strikers. The movement was dubbed the #Frisco500. The hunger strike ended the day after with the escalation of 5 to 500. The hunger strike had been superseded by a mass call for a General Strike the next Monday. In the activism of the hunger strike, the plight of the family of Luis Góngora Pat fell mostly out of sight. Before the hunger strike, Luis’s family in San Francisco and Yucatán begun the harrowing journey of navigating systems and borders against which families are pitted when police kill. Migrant families (let alone any family) are ever prepared to take on a fight against police from one day to the next. Luis’s family members lost wages, sleep, and all their peace of mind, as they fielded press requests, met with the Mexican Consulate to repatriate the body and pressure for a federal investigation, educated themselves about criminal versus civil procedures, informed the Mayan-speaking widow and three children of Luis in Yucatan of procedures in San Francisco; the family in Yucatán themselves fielded the onslaught of press and local curiosity in the middle of the annual town festivities. Family in the Mission found themselves in the awkward position of coordinating with Arnoldo Casillas (a civil trial attorney called-in by the Consulate to preserve evidence including an independent autopsy) even though they had no legal power in the case. 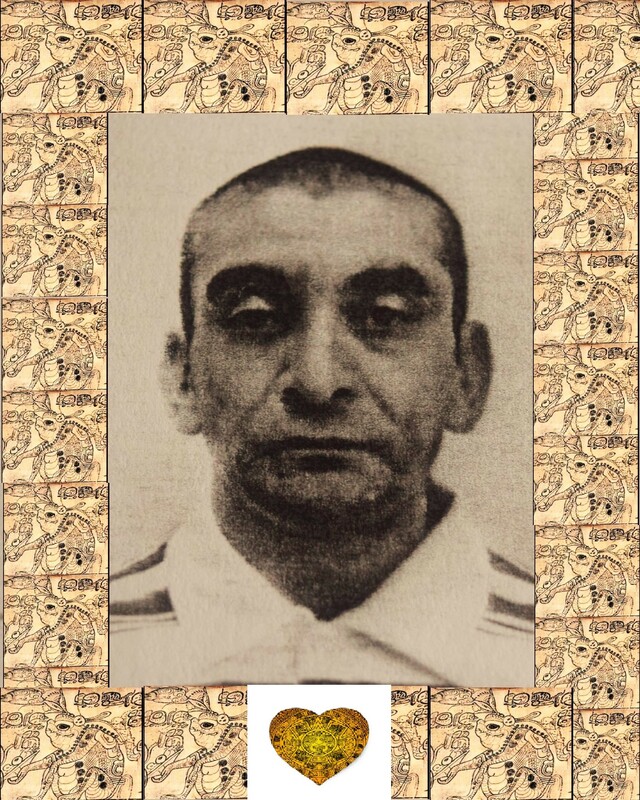 Familial duties to bury Luis included organizing with the Consulate, Casillas and Mexican authorities on the other side, a wake in San Francisco and a funeral in Teabo, Yucatán. Luis was not even buried when they had met with San Francisco City supervisor John Avalos on a legislative reform table with other anti-police brutality coalitions and soon after he was buried they met Supervisor David Campos to confirm and consult on their options. The mothers in the family in San Francisco grappled with fear of retaliation by police against their children and visible family members. On both sides of the border, the cousins, brothers and widow suffered illness and injury that often accompanies sudden tragedy and grief. A week before Luis’s one month anniversary one of the cousins made a first public appearance at the #Frisco5 hunger strike to send the message “We fight with Mayan honor”. Luis’s family is clear that they will fight with Mayan courage for the honor of their fallen cousin and brother. For them, the disgraceful killing of their brother and cousin by SFPD requires not only accountability, but restoration for harm done to the Mayan honor of Luis with an unjust and untimely death. The family in San Francisco and Teabo went to hell and back in one month. On May 7, 2016 they agreed to hold a first moment of mourning with community at the site of Luis’s killing. The ceremony was led by Quiche Mayan Icala Francisco from Asociación Mayab and supported financially by the Indigena Health and Wellness Collaborative, a partnership between the Instituto Familiar de la Raza and Asociacion Mayab. A variety of Mission neighbors and supporters showed up: muralists, activists, other coalition members, including a witness to the Amilcar Perez Lopez shooting, fleeting visits from his unhoused encampment friends, and children and adults that comprised Luis’s extended family in San Francisco. While Frisco500 supporters were being bailed out of jail, this group of about thirty met at 19th and Shotwell at the altar that started one month ago after the crime scene investigators cleared the shooting scene. According to writer and race educator Karen Fleshman, Luis’s death is the twenty-first killing by SFPD officers since Greg Suhr came into office and the eleventh killing by SFPD officers since 2014. Of those eleven killings, four have become salient causes due to higher profile community organizing: Justice for Alex Nieto, Justice for Amilcar Perez-Lopez, Justice for Mario Woods, and now Justice for Luis Góngora Pat. Three of those killings took place in the Mission District and Bernal Heights, traditional Latino working class neighborhoods of San Francisco. Two of those killings were of Mayan day laborers, one from Guatemala (Amilcar), the other from Mexico (Luis). The other two were native San Franciscans, a Latino (Alex Nieto) and a native African-American man (Mario Woods) from Bayview/Hunter’s Point. According to the SFPD Internal Affairs Division’s “Summary of Officer Involved Shootings Since 2000” from May 2014, since 2000, 97 SFPD officer-involved shootings occurred, resulting in 33 deaths and 35 people being injured. The Internal Affairs Division memo reported that in every case where someone was killed in an SFPD officer-involved shooting, the officers were found to have acted within policy. On March 11, 2016, a jury handed down a verdict that also exonerated the killers of Alex Nieto from wrongdoing. Previously, in 2015, D.A. Gascón had determined that officers had acted within policy in the Alex Nieto shooting, and he would not press charges. The fact that there are no consequences—ever— for officers means that the legal framework is structured to impede accountability in all cases. In other words, it is structured to sustain impunity in police killings. For this reason, the Justice 4 Alex Nieto Coalition now joined by Justice 4 Amilcar Perez Lopez and Justice 4 Luis Góngora Pat are demanding deep structural reform to guarantee fair and independent investigations and radically increase transparency and accountability in cases of serious bodily injury and misconduct by police. The killings of these past few years happened in a broader context of heightened conflict over traditional working class families being pushed out of the City by gentrification. The death of Alex Nieto was the first moment of awareness that gentrification can kill when police protect white fear and property over minority resident lives. The death of Luis Góngora Pat sheds light not only on a housing crisis, but an increasing crisis of homelessness and lack of resources to address rising inequality. The month of April once again broke real estate records for median pricing on San Francisco homes. Luis Góngora Pat was in fact on the street due to landlord harassment that led him and his brother to abandon their tiny rental room. Luis was known and loved by family by the nickname “El Sapo” and by friends as “Chupacabras”. Everyone remembers him as lively, kind, and generous both at home and in his encampment of unhoused friends on Shotwell Street. He arrived 15 years ago to work in San Francisco, following after his brother Jose in search of a living for their families back in the little Mayan town of Teabo, Yucatan. Jose and Luis lived like twins, sharing life wherever they went together. Luis’s and Jose’s first language is Mayan, speaking enough Spanish to get by, and very little if any English. Language barriers caused them to struggle to get steady work in San Francisco, because they had a difficult time communicating even in Spanish. All the same, like many other Mayans they found work in the restaurant industry including Mel’s Diner. Restaurant business in San Francisco is fueled by Mayan labor. According to INDEMAYA, a Mexican government agency that supports Mayan people, 70,000 Yucatecan Mayans live in San Francisco with 70% of them working in the restaurant service sector as waiters, line cooks, and servers. A majority of these workers come from the region of and around Oxkutzcab, Yucatan. If Mayans walked off the job tomorrow in San Francisco, this foodie town would collapse! Food is a source of great regional pride for Yucatecans. Luis was often the one to feed the encampment on Shotwell when resources ran short. For several years, Luis shared a tiny room with his brother José and another Mayan Yucatecan friend. About a year ago, the landlord got greedy and raised their rent. The landlord also harassed the other neighbors in their building. Luis and Jose humbly left the building, not wanting trouble. Other neighbors actually fought and won a settlement. A neighbor of Luis’s, a single mother of three told us at his funeral that to her Luis was a great person —”una gran persona“— who even motivated her to get out of an abusive relationship. When Jose was taken in by a cousin, Luis stayed nearby in the Mission; sleeping at first in Dolores Park, a stone’s throw away from the original Mission Dolores, nicknamed after the River Dolores (River of Sorrows) that now runs as an underground river down 18th street. A Mission that was imposed upon a Yelamu settlement. The Mayan brother later moved downstream closer to his kin on Shotwell Street. So it was that Luis was unhoused, but not homeless: He was loved. He shared time, meals, and experiences with kin in San Francisco. Jose visited frequently and they talked on the phone to their wives and children in Yucatan. He shared every day life with his chosen camp community on the street. NOTE: This post was adapted from the original post published on Justice 4 Luis Góngora Pat website.